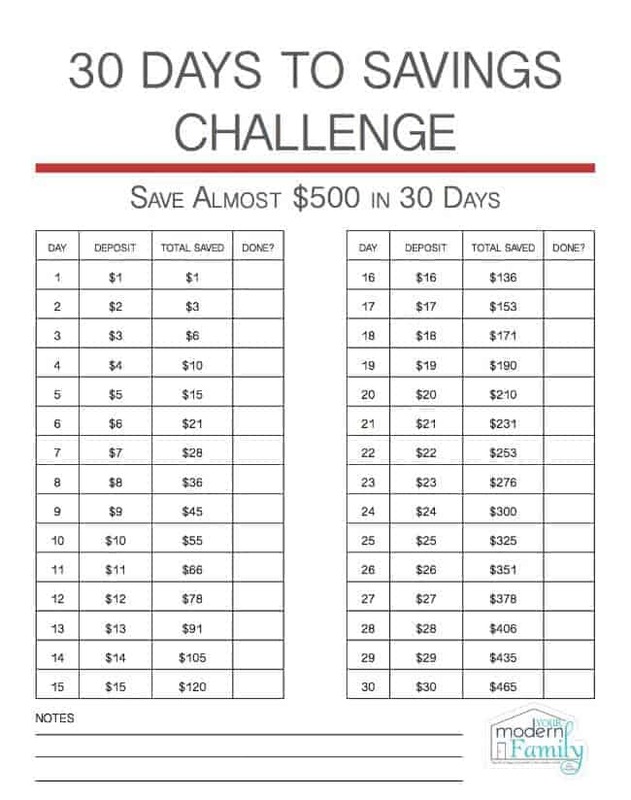 Save $500 in 30 Days with this Money Saving Challenge! It’s almost time for the holidays and it’s the perfect time to start saving. 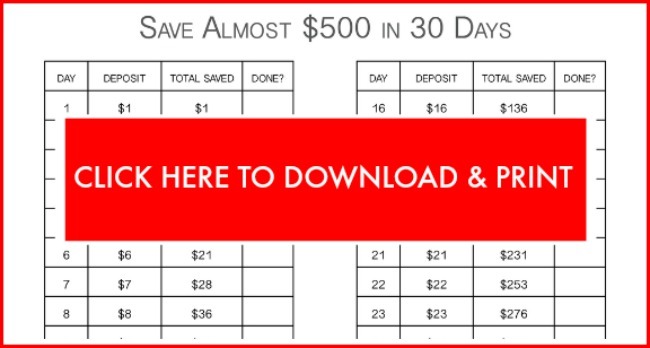 If you can save just a little every day, you can quickly save $500 in 30 days. Saving money is always done with effort and thought… it is often hard to find ways to save money, but this challenge will encourage you and inspire you to save. Do you want to use it on Christmas gifts? Do you want to use it for a holiday vacation? Do you want to use it to pay off debt? Starting today, you will save almost $500 in the next 30 days. You’ll be surprised at how quickly it happens… when you are really putting in the effort to save! I have found that the best way to save money is to focus on your goals (maybe one of the ones mentioned above). When you can focus on your goal and you have a clear plan (the printable) of how you will get there, the finish line will seem more attainable. It can be one that you reach and it will be done in a timely fashion. There are many ways to save money and to make money, but I’m going to share my two favorite posts with you below. I hope they are very helpful. 20 ways to make money from home.